It is important to note that when you are placing lights above your aquarium, the orientation of the fixture to the water surface will significantly determine the amount of light that penetrates the water and the amount that is reflected off of the water’s surface. 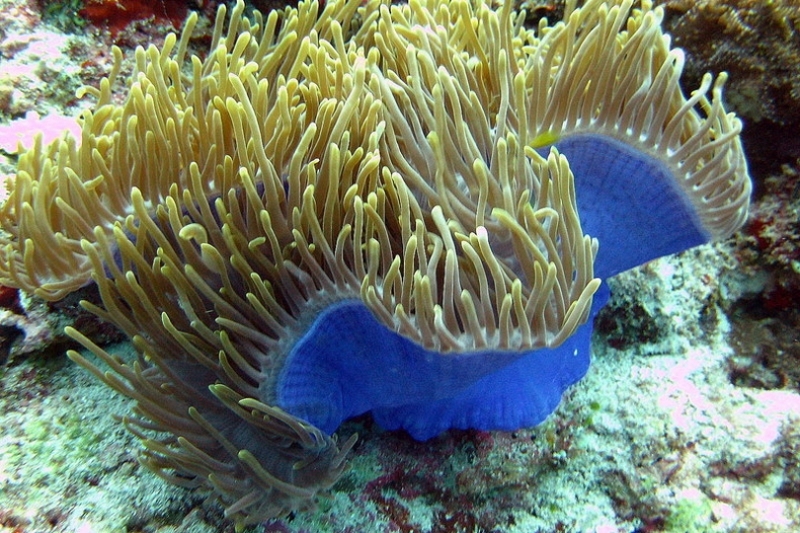 In most circumstances, the reflection is kept at a minimum when the light sits directly over the aquarium and the lighting is focused straight towards the surface of the water. However, in some instances the lights are arranged in a more creative way (either by necessity or by design) and are aimed at an angle to the water surface. As discussed below, this can be an acceptable way to configure your lights as long as you consider that the amount of light that reflects off the water’s surface is increased as the lighting angle is increased thus decreasing the lighting intensity and PAR and depth penetration. 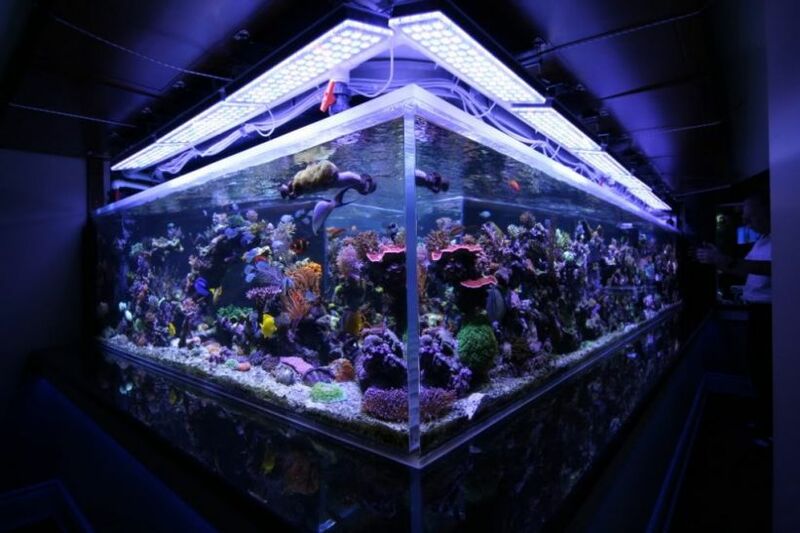 Angling LED lights may also help reduce or eliminate shadowing in the aquarium. For example, Scott Leif, Director of Customer Support for Royal Exclusiv North America, uses Kessil pendants over his display aquarium. Since the Kessil’s multi-array LED design is a true point source light, density and aim are important. Hanging multiple pendants pointing straight down won’t help much with shadowing but staggering them and directing them at different angles will greatly reduce shadowing caused by structure and architecture in your tank. If you have fixtures such as Ecotech Marine’s Radion LEDs , Aqua Illumination’s Hydra LEDs or Orphek Atlantik fixtures then please be aware that having them closer to the front and or rear and tilting them slightly towards the center can do wonders to eliminate shading. Below is a photo of Scott Leif’s setup using the Kessil A360 series LED pendants. Notice how they are aimed. Scott intentionally did this to overcome the shadowing effect. 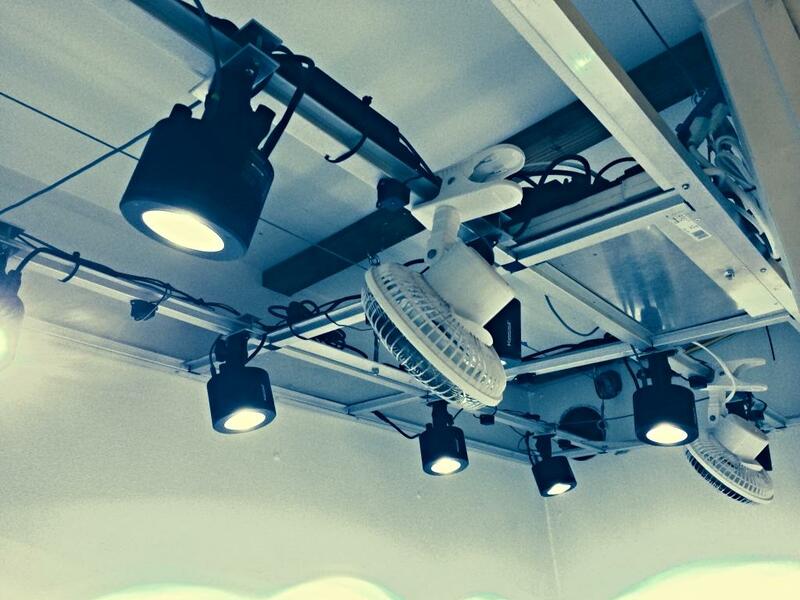 We understand that he spent a fair amount of time designing his lighting rig layout which is completely adjustable. Not only can he angle the lights but he can also slide the lights side to side on his light rig. Each light is aimed individually to address any dark spots and insure even coverage which according to Scott, works remarkably well. A setup such as Scott’s may be difficult to achieve with other brands of fixtures, however with a little ingenuity and some imagination, a suitable configuration should be attainable for any aquarium design. Scott Leif’s Kessil A360 Lighting Rig.